Thanksgiving can be demanding, especially if you’re the one having people over for a meal. You can never be too prepared for a situation like Thanksgiving, so that’s why we have decided to share with you some ways you can prepare for the holiday in this week’s Cypress River Blog. Follow some of these tips to help you have a more enjoyable time this month. As the holiday approaches, things can get hectic, especially when it comes to shopping for food. You want to refrain from being the person who is frantically scouring the aisles searching for that specific food item the night before. Not only will shopping early help you avoid the craziness of shopping the night before, it also allows you to plan and follow through on your dishes without the unnecessary stress of missing a key ingredient. Have you ever felt like there wasn’t enough time on Thanksgiving day itself? Do yourself a favor and get some food preparation done before! What kind of food can you prepare the night before? We suggest getting all of your vegetables diced or cut up, making your gravy (and freeze it), and finishing the pies! Early food preparation isn’t limited to the night before. Invite some friends over early to help you finalize any food preparations you may have been working on that morning. If you’re the host of a Thanksgiving meal, communication will be your best friend. Letting your guests know the time and place will be one less thing for you to worry about. Communicating also allows you to let your guests know if you need them to bring any side dishes, desserts, or drinks. Do you have any ways you prepare for Thanksgiving? 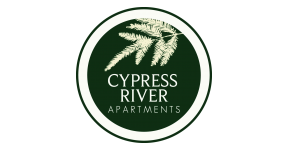 Let our Ladson, SC apartment community know of them by leaving a comment. Thanks for reading!